Radish seeds go into the seeder. In mid-May, we were planting every single day. Peas, then lettuce, pickles, squash, beets, beans, broccoli, and more broccoli. As soon as the weather was warm enough and the soil was dry enough, we had to move as fast as we could. 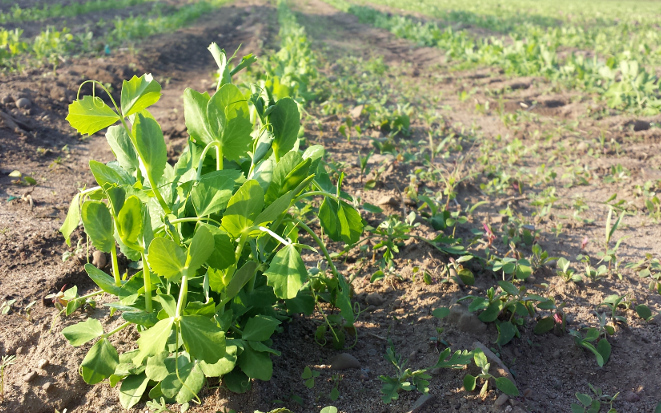 The well-drained soil that we have on our Brockport farm is very important to us at this time of year. All of that Spring rain soaking the soil and slowing us down on our Albion farm, just drained away to the south, through the sandy soil here in Brockport. 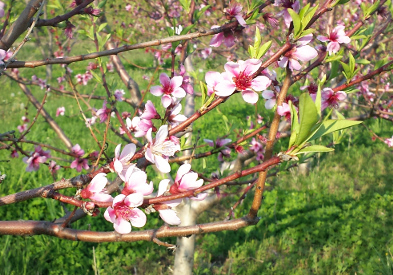 In May the apricots bloomed, then cherries, followed by peaches, plums, and finally apples. Such a beautiful time of year. Now it's June! This Spring season started out cold and wet, slowing us down a little. We're very thankful for the warm temperatures that the end of May brought us, and it's amazing how much things have grown. It means that we're packing fresh peas, CA apples, rhubarb, lettuce, and basil in our very first CSA share of the season. Take a look at what can happen in three weeks! 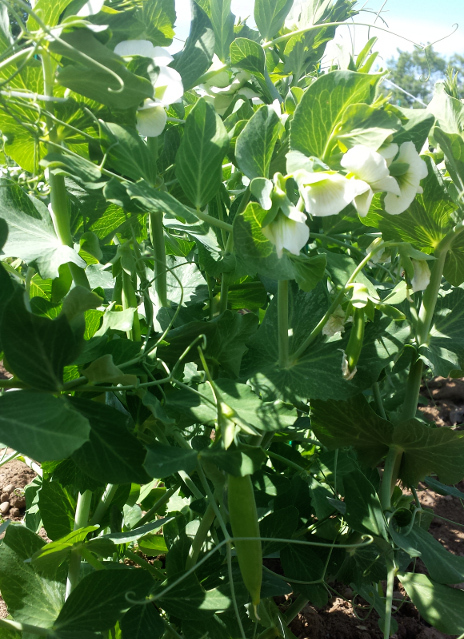 From bushy little pea plants, to taller bushes with lots of bloom supported by string... and now we have peas! (See if you can find the pea in the photos.) 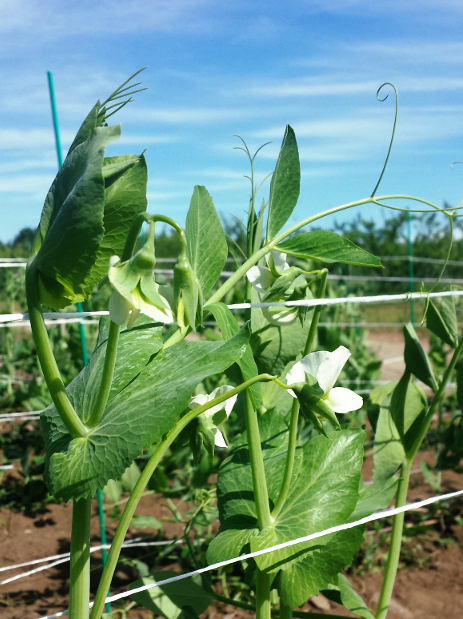 Edible Pod Peas are for sale in the market as of June 8th and we'll have them for weeks. Lettuce came out of the greenhouse three inches high, and now look! 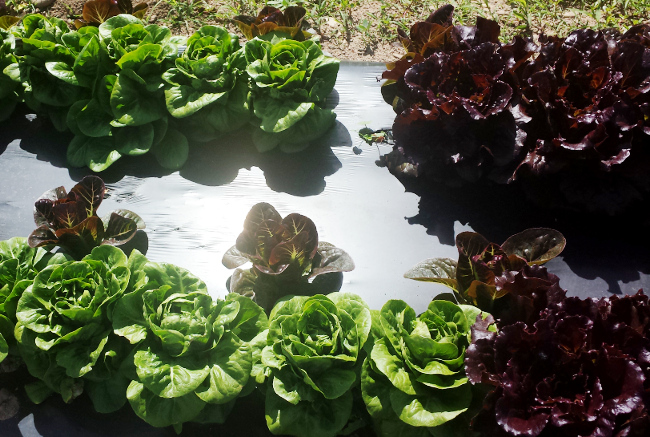 It doesn't take long for lettuce to be ready for harvest. 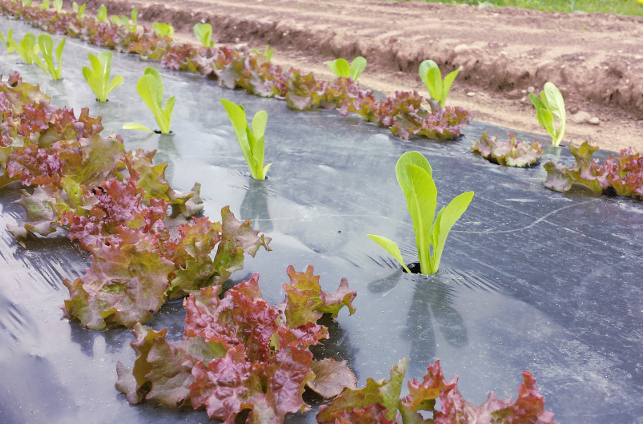 We have heads of this incredibly tender lettuce for sale in the market, right now! According to Farmer Tim, our strawberries have the best bloom he's ever seen! The weather has cooperated so far and we haven't lost any to frost this season. 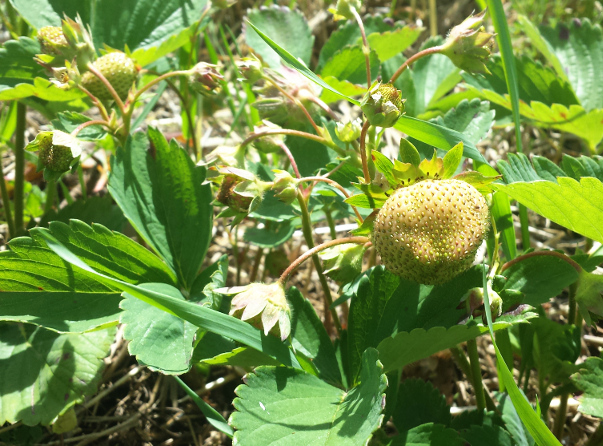 Picking should start in 7-10 days, we're looking forward to an amazing strawberry harvest! 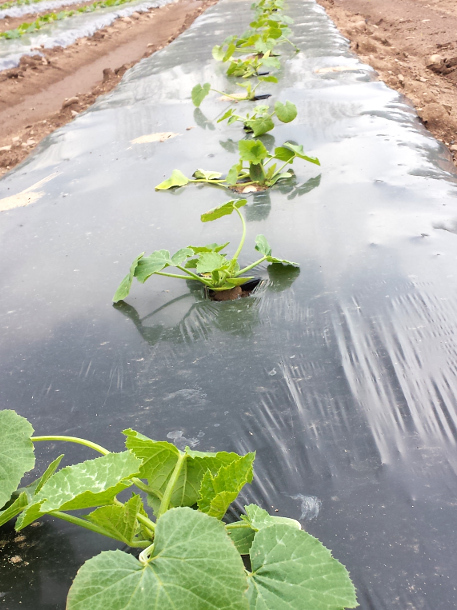 Pickles were planted while the weather was still cold, so they were covered with a row cover. 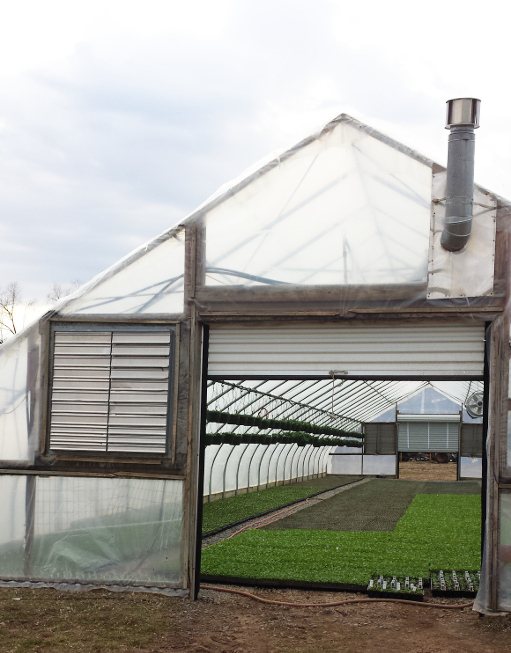 Row cover is a very large sheet of light weight fabric that insulates the plants from damaging temperatures. 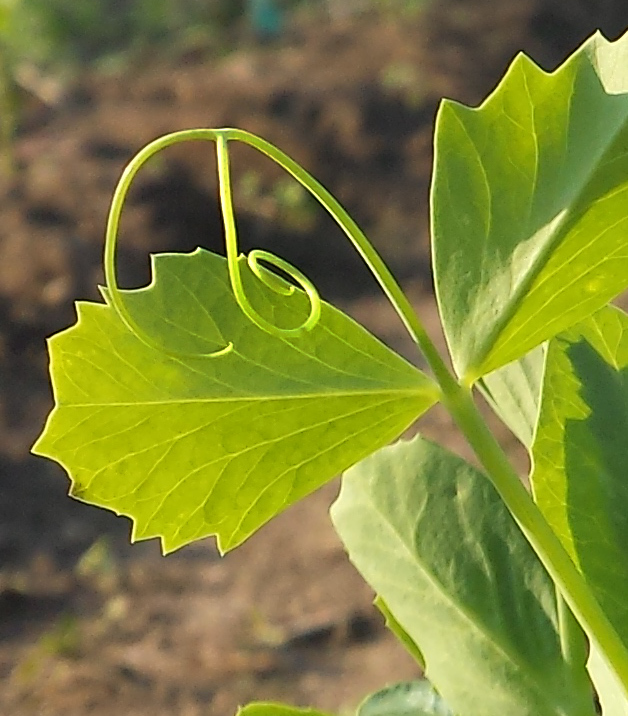 From small pickle plants tucked under the row cover with just a few true leaves, and now they're starting to look like vines! In the third photo, you can see our "control group" on the left, that was not covered by row cover. The plants weren't burnt by the cold, but you can definitely see the difference in size. It's incredible what can happen in a few weeks. 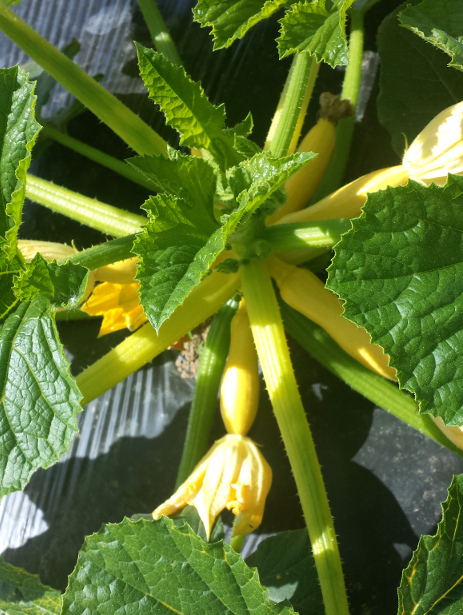 We'll have squash on our table in about a week! We'll start out with green beans this year. 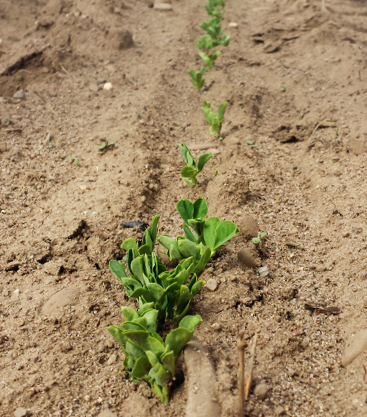 Yellow beans are in the second planting, along with more green! 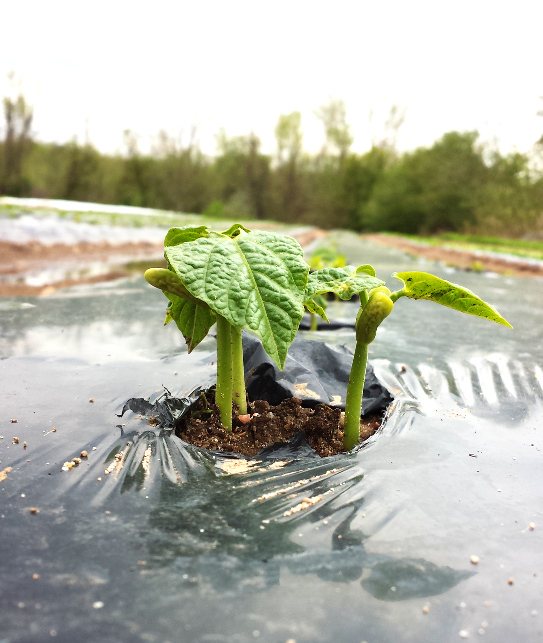 We started growing beans just three years ago, and we all really enjoy the difference you get in homegrown, handpicked beans. They're the sweetest, most tender beans you'll ever eat! Can you tell we've been working hard? 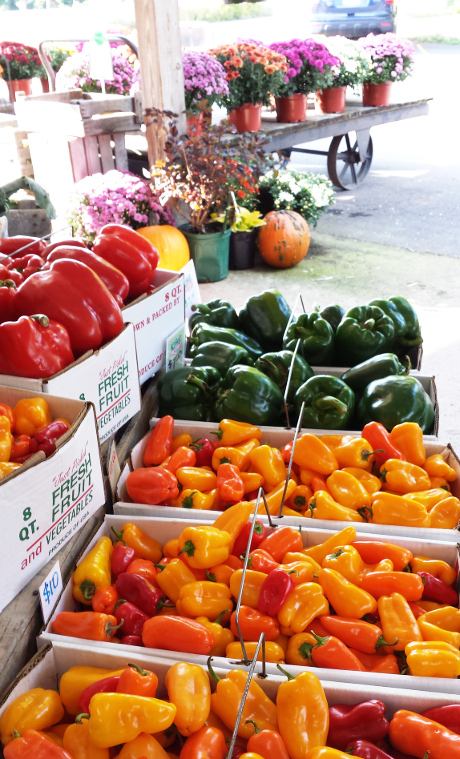 Here's a collection of snapshots from the farm market yesterday. 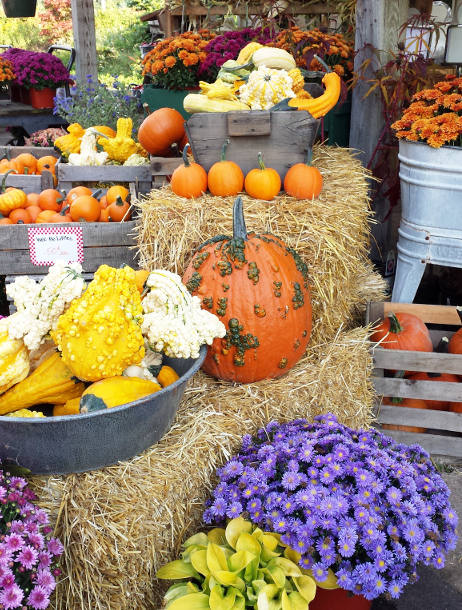 So many beautiful Fall colors to enjoy! Click the thumbnails to enjoy the full image. 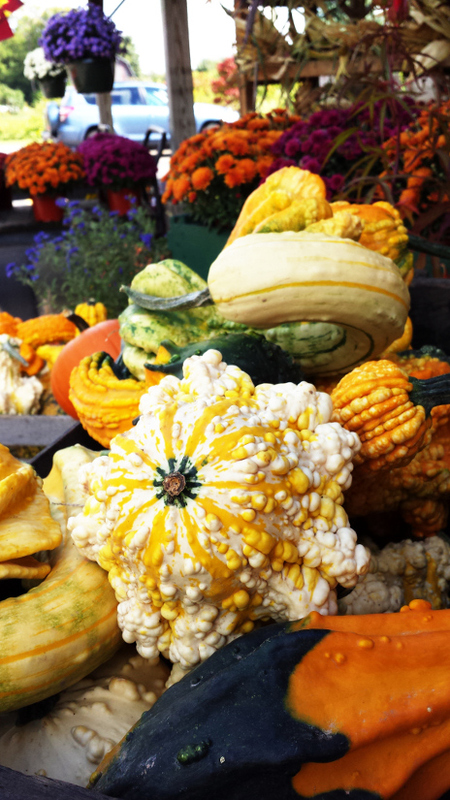 Summer is blending into Autumn, as you can see on our produce tables! Sweet corn is coming to a close soon, and peaches are almost done. 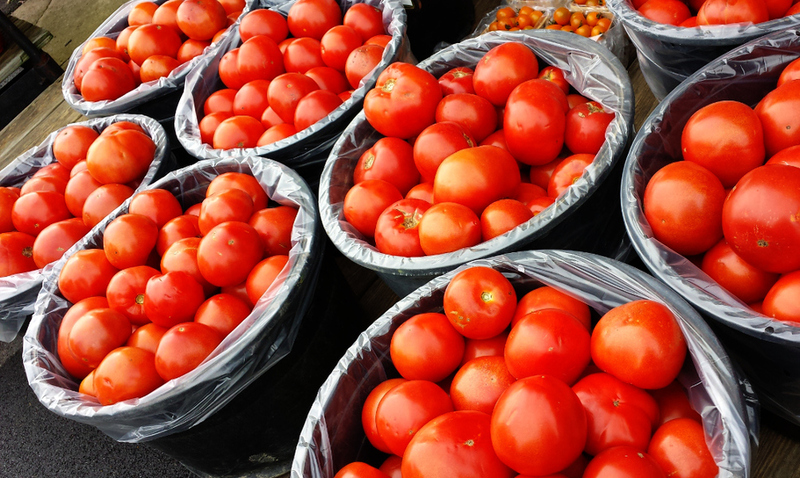 We have tons of prunes and tomatoes right now, but we're coming up on the last week of pickles. 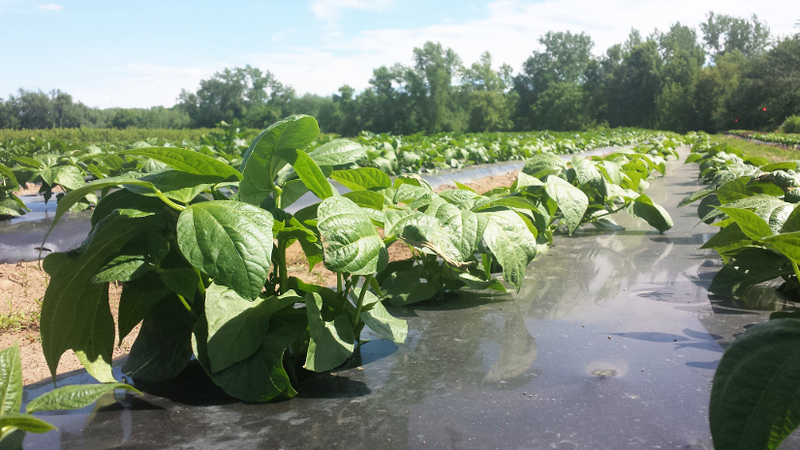 Sweet peppers are going strong, we just started our last planting of beets (they're beautiful! 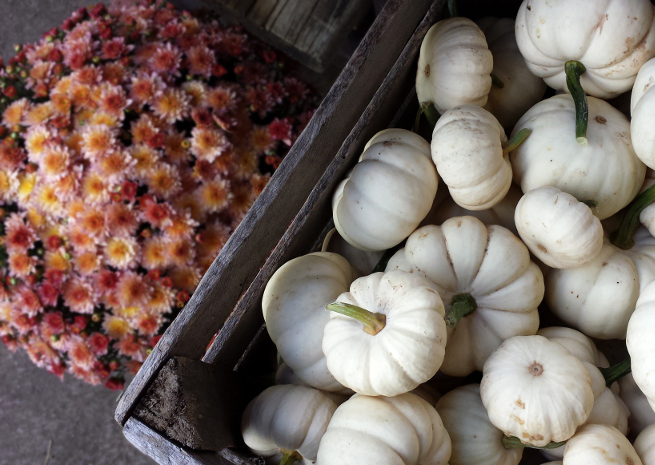 ), our yard is filling with pumpkins and we're getting more squash and gourds every day! Stop by to enjoy those last tastes of Summer. Before you know it, they'll be gone until next year! 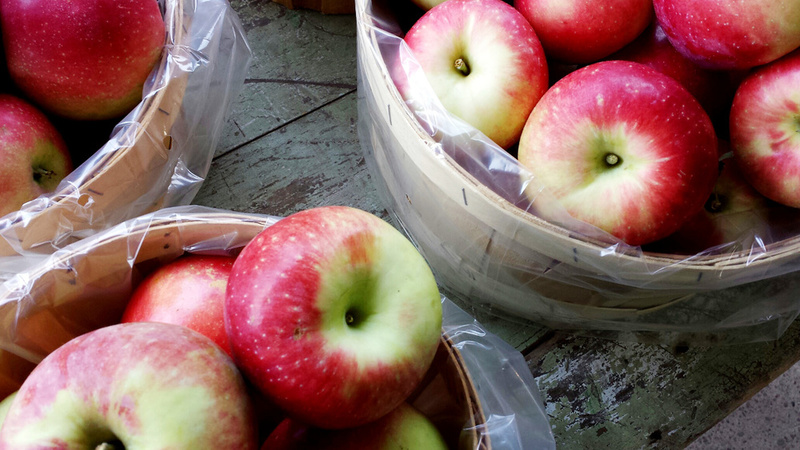 Zestar Apples are an exceptionally crisp early apple, available now at the market! Our list has stayed mostly the same since last week, with the addition of prunes & apples! We have Jerseymac, Paula Red, and Zestar in the market right now. 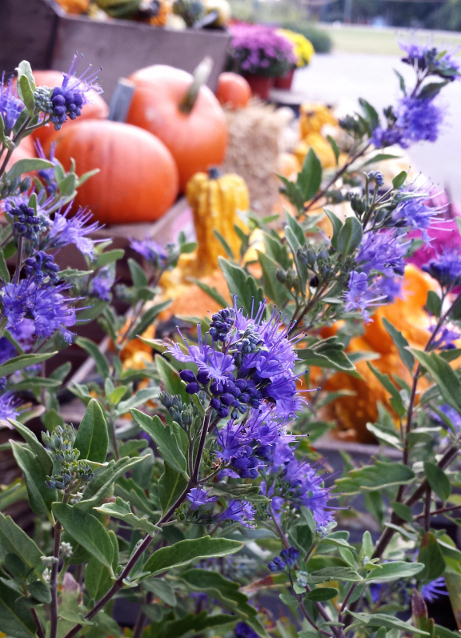 Zestar is a relatively new variety, developed to beat other early varieties with crispness and flavor. It's a delicious, sweet, juicy apple. This is canning season, right through most of September! The time of year for putting all of this fresh produce up in jars or in freezer bags. Drying, jamming, pickling, stewing, and saucing! Call us at 637-2600 to place an order for pecks, 1/2 bushels, or bushels. 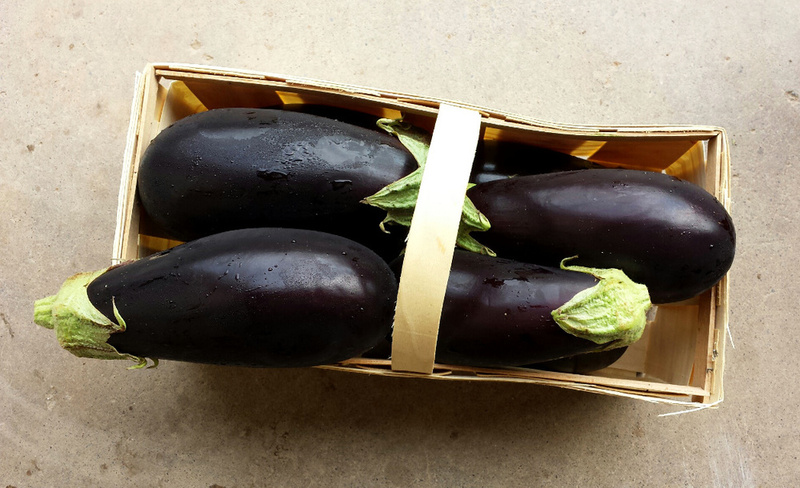 Eggplant, ready for parmesean, baba ghanoush, or eggplant lasagna! Peaches are beautiful this year - large, sweet, and juicy! 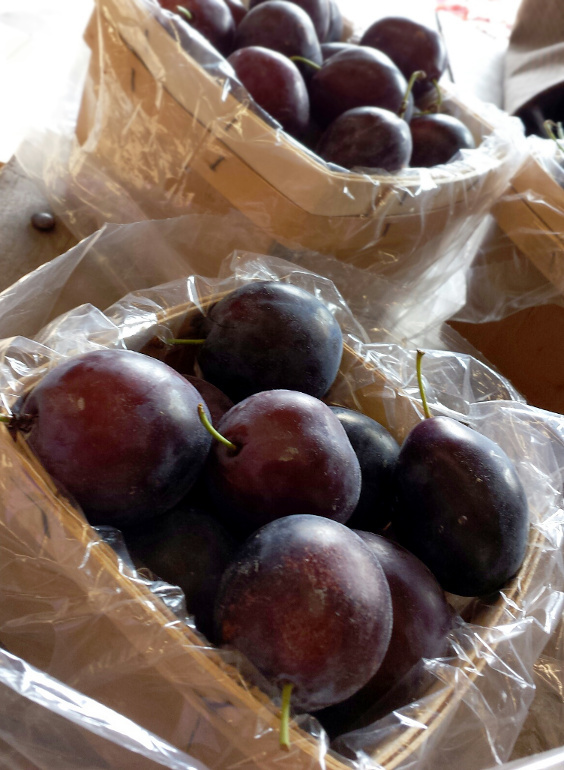 Fresh prunes are delicious eaten as a snack, stewed, roasted, or baked into desserts. 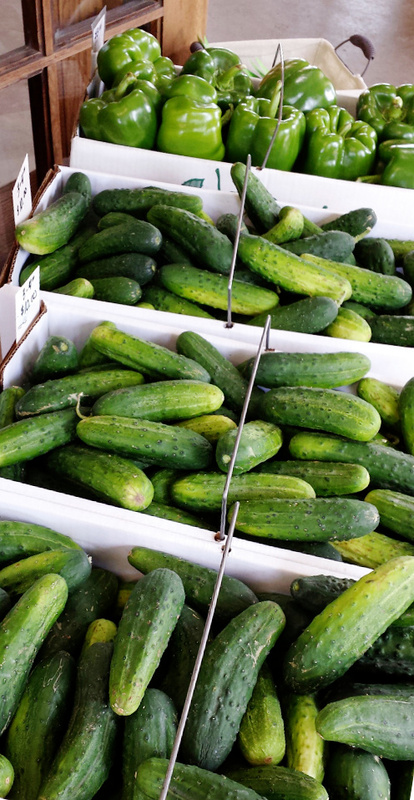 Dill pickles, sweet pickles, relishes, salad..... yum! 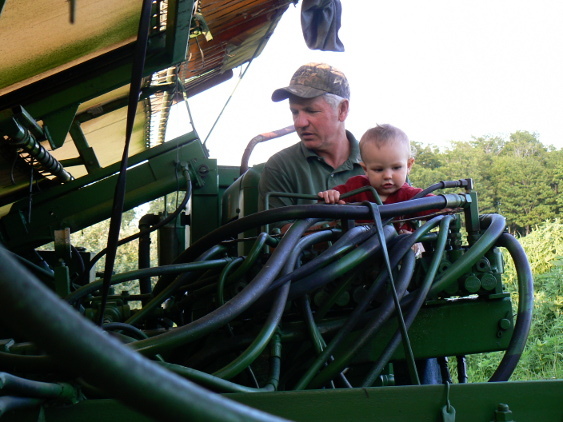 Tim and Linda Kirby discuss the harvest of the day. Crates of Zestar and Paula Red arrived yesterday, August 22nd. 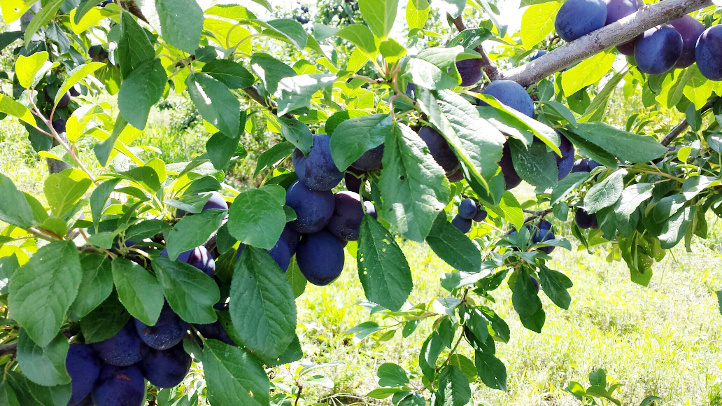 Castleton Prunes (a type of plum) will be ready to harvest in about a week. 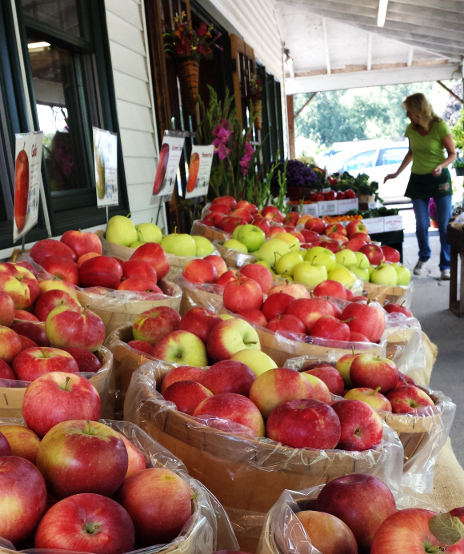 This is the peak of summer, and our farm market is filled with an amazing variety of Kirbygrown fresh fruits and vegetables! A bin full of green peppers waits in the shade. Gingergold apples are one of the first varieties we pick. In just a few more days they'll be ready! Peaches: Red Haven peaches came in on Saturday. 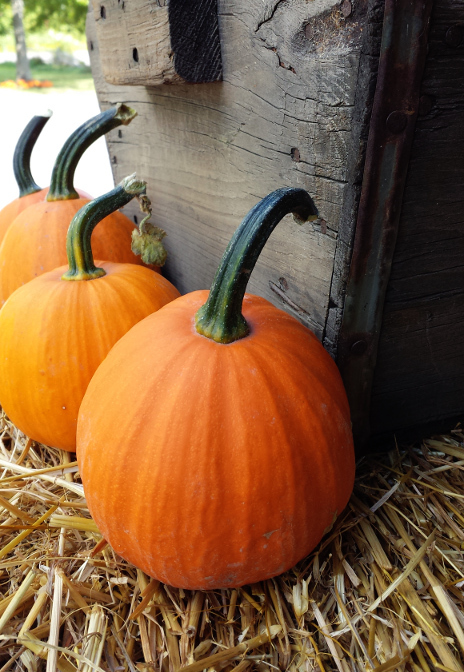 Available by the quart, four quart, peck, or bushel, they're great for baking, eating, and freezing. 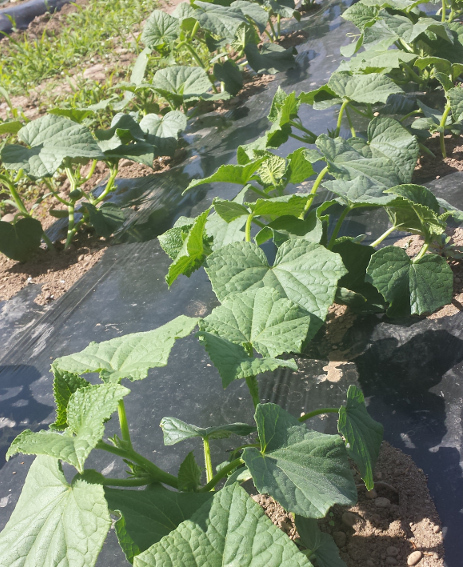 Cantaloupe: The first variety of cantaloupe in our market is a small, single-serving variety. It's supers sweet, and so delicious! Watermelon: It's been a while since we grew watermelon, but it was worth the wait! We have smaller yellow watermelons, and traditional red, both with seeds. They're incredibly flavorful, crisp, and juicy. Tomatoes: Coming on slowly because of the cool weather, we're hoping to have tomatoes by the bushel by 8/22. 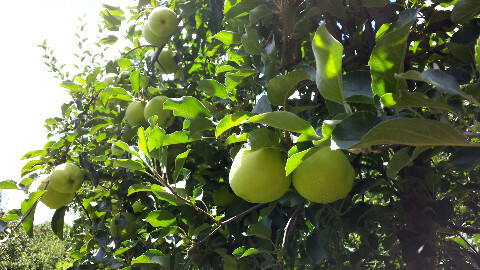 Apples: Jerseymac is our first variety, and Gingergold are close behind. 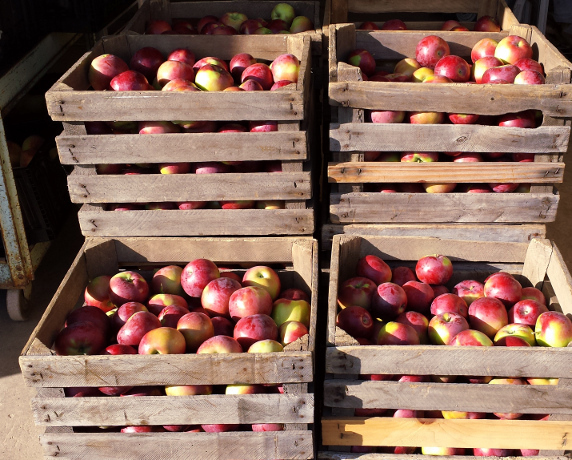 A full load of apples for the 2013 harvest. 60 bushels of fresh green peppers wait to be taken to our short-term storage facility. Fruit harvests are shaping up to be fantastic this year! The weight of ripe fruit will often stress or break a small tree. 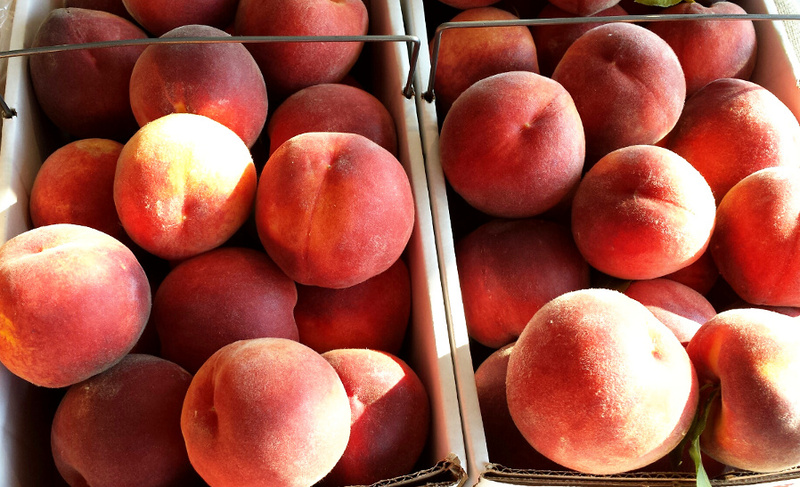 Peaches are always picked tree-ripened: firm to the touch but fully colored. 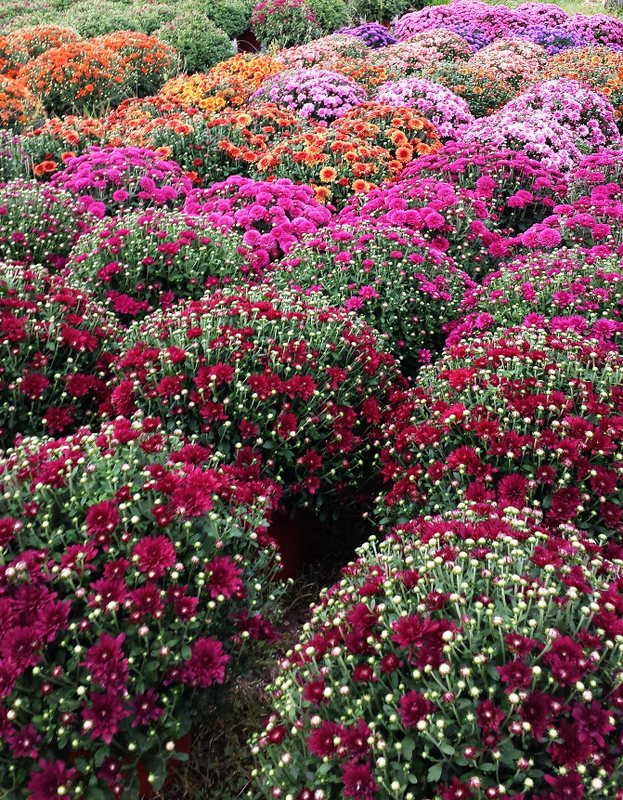 Meanwhile, in our Garden Center, our beautiful Mums are just beginning to show color. We have dozens of varieties to chose from! 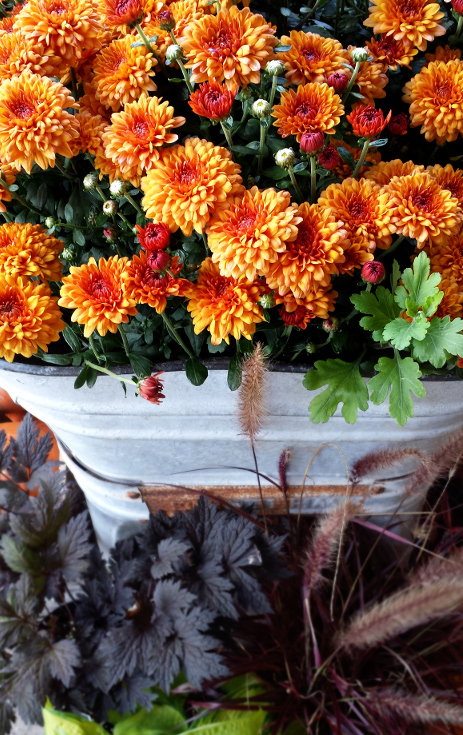 All of our Perennials are still 25% off! Find some amazing deals on clearance. 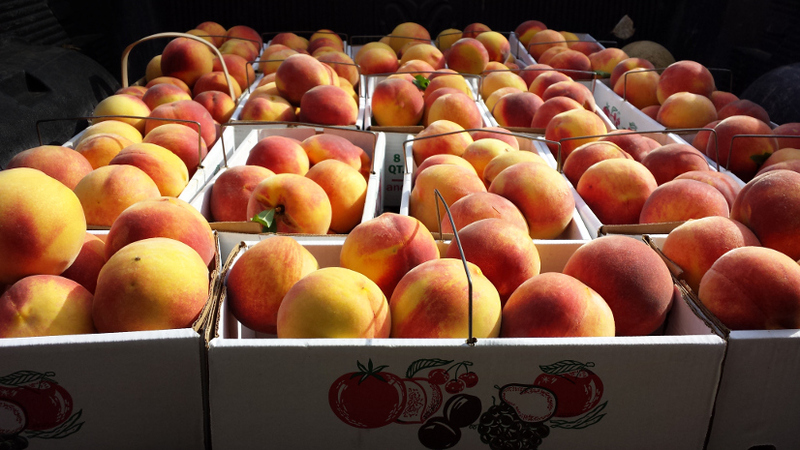 Peaches - Our early peach varieties are in full bloom right now! 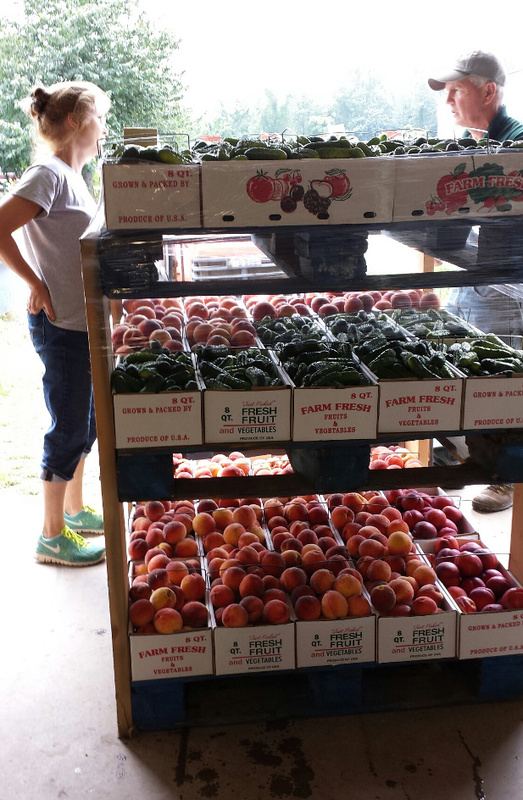 When you drive by the farm you'll see rows of cloudy pink - those are the peaches and they smell fantastic. 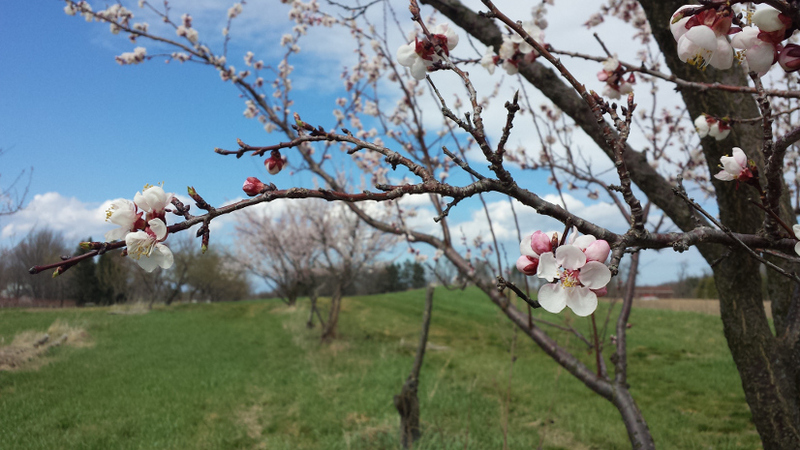 Peaches won't be ready until July, but Spring is still a crucial time of year for our peach crop. A hard frost wiping out thousands of peaches is a very real danger through the month of May, which would mean the end to delicious Kirbygrown peaches for 2011. How can you tell if it gets too cold? 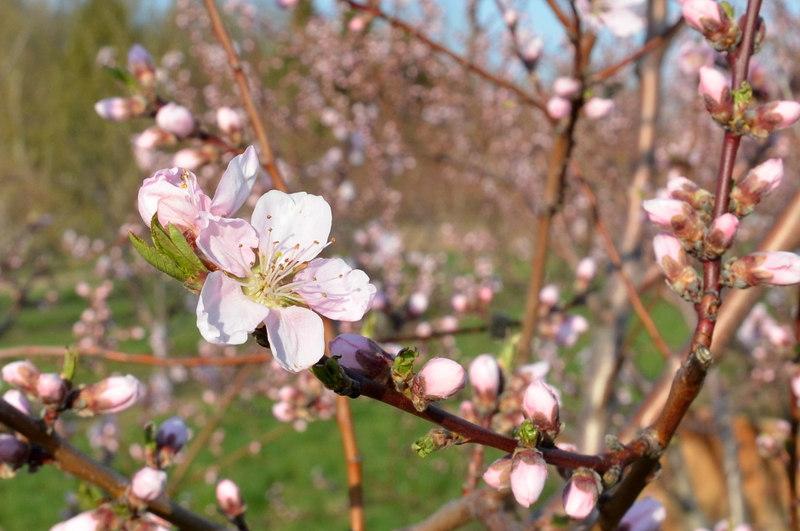 The morning after a cold break Mr. Kirby will go out to the orchard and open up a blossom. If the center is black, the fruit has been killed. This is also true of strawberry blossoms. 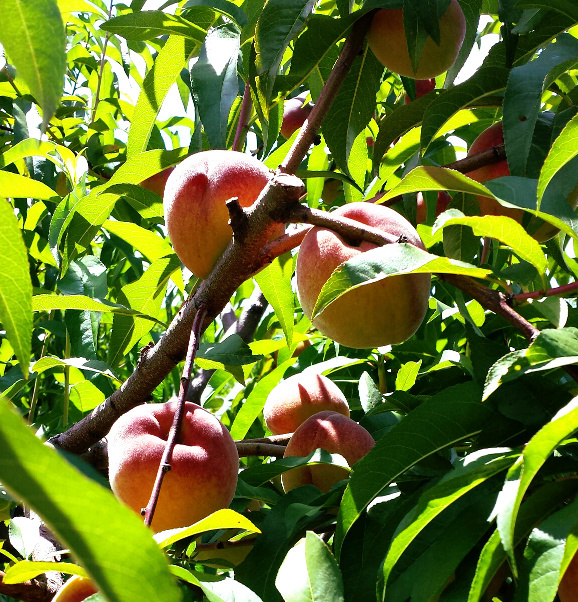 As of this moment our peach crop is looking great - let's hope Mother Nature is kind this season! Asparagus - On a hot day you can practically watch the asparagus grow. This cold wet Spring we've had so far has slowed it down. 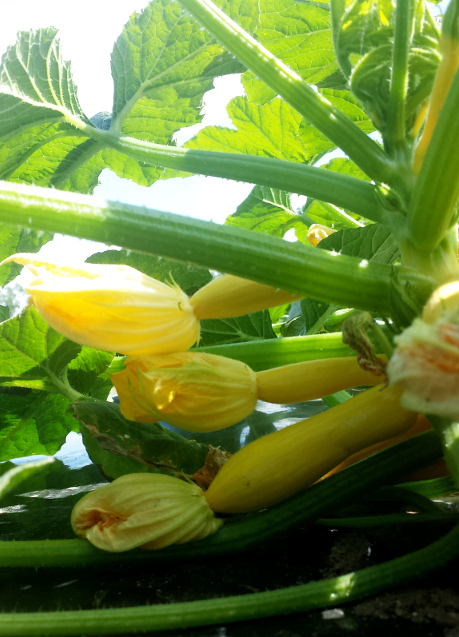 Our first picking came in last week but it will be a few days before we pick again. If you're planning to come by for asparagus before the weekend, call ahead to be sure we have it in. We also take orders by phone, which is always a good idea for large quantities (asparagus freezes and pickles well). Check our facebook page for updates! Rhubarb - we'll be picking some nice big stalks this weekend. Rhubarb pie anyone? Or sauce! Yum. 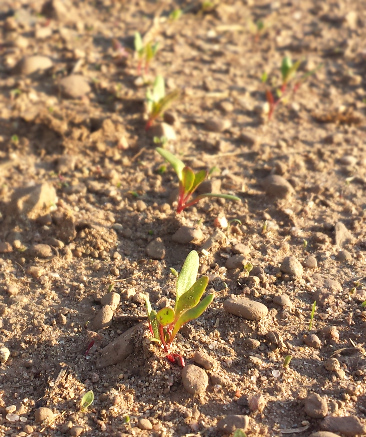 Spinach & Beets - if we continue to get warm sunshine for a while (cross your fingers!) we'll have spinach and beets in two weeks.